The Kobo Walmart partnership has turned out to be lackluster to this point, with only a small percentage of Walmart stores selling Kobo ereaders in stores, and even then they only stock the lower end Kobo Aura 2. But one notable advantage with the partnership is Kobo’s ebook readers actually go on sale once in awhile now. Walmart currently has the 6-inch Kobo Clara HD available for $109. They also have the waterproof 6.8-inch Kobo Aura H2O available for $159. Both are $20 off the regular price and both include free shipping. Here are the links to my reviews for a closer look: Kobo Clara HD review – Kobo Aura H2O review. Even if Walmart doesn’t stock them in stores, at least they’re putting them on sale, something Kobo rarely does. Kobo is one of the most clueless companies ever when it comes to promoting their devices. 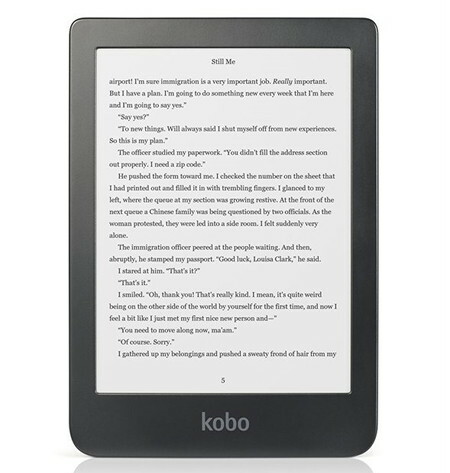 For instance, for Black Friday and Cyber Monday, the busiest shopping days of the year, the only sale Kobo had going in the US was the Kobo Aura for $89, which is only $10 under Walmart’s regular price. Meanwhile Walmart had the exact same device on sale for $49, rendering Kobo’s “sale” completely pointless.